Tour over 25 sculptures and enamel-on-metal reproductions of poems, photographs and silk-screen prints along Madison Avenue, on the Alley Art Walk. The Alley Art Project is a creation of the Howland Foundation Fund in the Arts Center Endowment, supported by donations from Jim and Ruth Howland. This project, begun in 1993 and finished in 2005, enhanced Madison Avenue with installations of art at the mouths of downtown alleys. 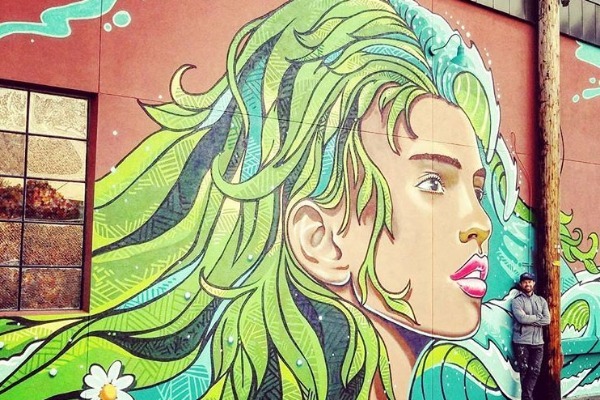 Download a guide to the Alley Art Walk. 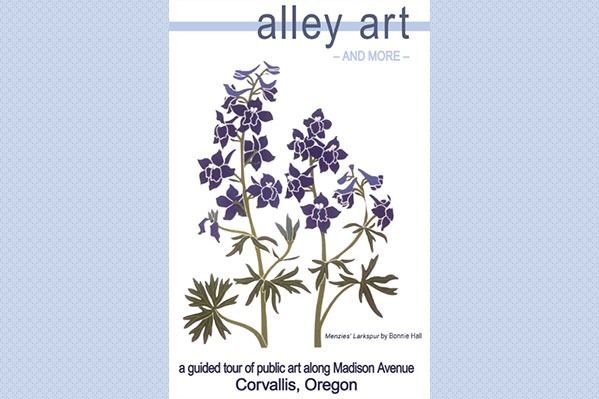 The Alley Art Walk is a great way for art lovers to spend an afternoon exploring Corvallis. There's plenty of shopping in adorable boutiques and gift shops along the way, as well as opportunities for some great meals. 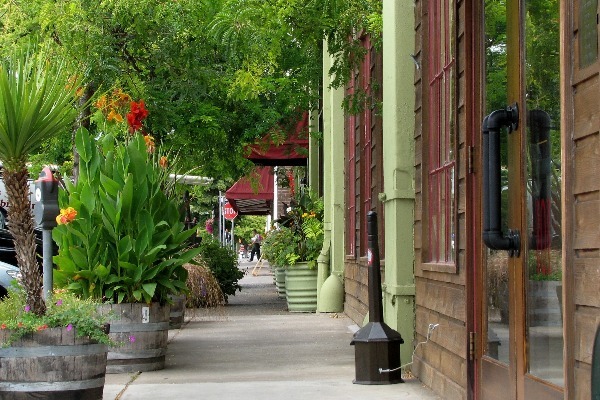 Spend an afternoon strolling Madison Avenue in Corvallis’ lovely downtown. This self-guided tour will take you from the north end of Madison Avenue at 8th Street (map), all the way down to our beautiful Riverfront Commemorative Park. Along the way, take a short detour to wander Central Park, and visit the Arts Center, across the street. Be sure to stop at the historic Whiteside Theatre at 4th Street and Burst’s Chocolates, a gourmet chocolatier who’s been creating hand-crafted confections in Corvallis for over 75 years, located right next door. From there, step across the street to the Book Bin to browse new and used books for a bit (be sure to say “Hi!” to Tess, the store kitty). At 3rd Street, you’ll encounter plenty of great shopping opportunities in our locally-owned boutiques and gift shops. There’s also some delicious options for lunch, such as Evergreen Indian Cuisine, just a bit north on 3rd Street from Madison, or Tokyo Japanese Steakhouse, Block 15 Brewery, or Caves Bier & Kitchen, all a block south on Jefferson Avenue and 3rd Street. Continue along Madison to 2nd Street, where you’ll find an abundance of shopping, art galleries, dining, and more. Of particular note are American Dream Pizza and Francesco’s Gelato, right next door to each other a short walk south from the corner. Directly across the street from pizza and handmade gelato you’ll find New Morning Bakery, a local favorite, and Grass Roots Books and Music, a great place for gift shopping. Your Alley Art walk ends at 1st Street, where you’ll find the Riverfront Commemorative Park, another great place for walking and art appreciation. Download a printable brochure and guide about the Alley Art Project. Downtown Corvallis is my go-to for something fun to do for a couple of hours any afternoon - especially if you've got a little doggo to entertain. Corvallis is full of public art, with more being added all the time. Art lovers could spend a whole day exploring Corvallis' art and still not find all of it! 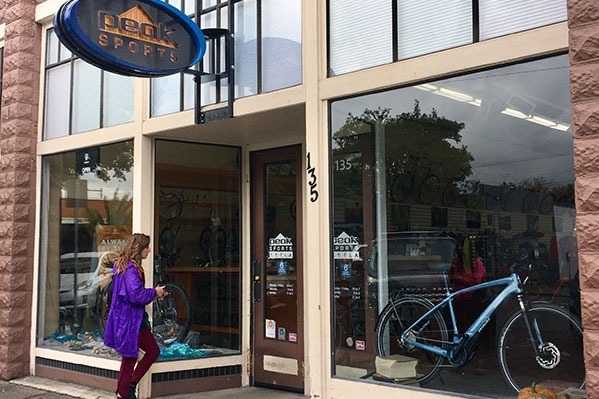 One of the best ways to experience Corvallis is by bike. Whether you want to explore town or get out on our trails, visitors can easily rent bikes to get around.